Fear is a something everyone experiences, yet the way it affects us all is unique and can lead to different life outcomes. 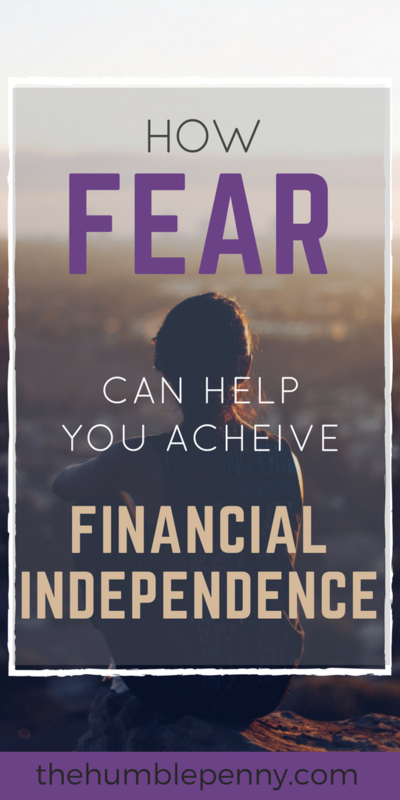 Today I am exploring fear and how it leads to the pursuit of Financial Independence (FI). The Fearless Generation are the people who have got to a stage in their lives where they have understood fear and are using it to their advantage. They have had unique life-changing experiences that have possibly driven them to the point of no return. Such experiences, therefore, serve as a catalyst for taking charge of their finances and embarking on a life-changing journey. Such people are the type I hope to attract to this blog or help on their path to becoming fearless. To kick off today’s post, I had the opportunity of rocking up to the beautiful town of Farnham in Surrey to interview Barney at The Escape Artist. I have to admit to being slightly nervous about this interview because I hadn’t done one of these before but I loved the thought of what it represented. Only a few months ago, I was fighting “the fear of what other people might think” when I considered starting my blog. And now having taken that leap, here I am driving up to meet a guy who has been writing about this subject for 4 years! My nerves disappeared when I arrived and Barney received me by laughing at the “clown mobile” I showed up in. My Nissan Leaf couldn’t quite make the round trip from Kent to Surrey without a pitstop for a charge, which I didn’t want to do. So I borrowed my mum’s much faster (flashier!) —————- AMG, which isn't FI friendly! I have a very different view on cars to my mum who loves her new cars. It’s a generational and cultural thing and I will write more about this in another post. Anyway, we kicked right off with me and Barney spending some time getting to know each other and boy did I set him off when I talked about private school fees! Again, a subject for future posts. Interesting facts about Barney are that he loves his gym! I recall he said he’d easily spend 3 hours a day at the gym. He’s also a keen runner and participates in marathons and the like. What I particularly liked about Barney’s journey was that he achieved FI doing life as usual – Wife and 3 kids!! The one seed he sowed in my mind was the idea of the Money Blueprint, which we pick up from our parents. This certainly got me thinking a lot on my drive back home. What Role Does Fear Play In Our Daily Lives? In the context of Financial Independence (FI), fear keeps us trapped and often in jobs that we don’t like. It also keeps us from making changes to such things as our spending patterns. A key area of fear for most people is in the area of investing. A lot of people are terrified of losing money and therefore put money in their bank accounts thinking this is the safe thing to do. Unfortunately many actually lose value in their bank account as a result of fear and end up missing out on opportunities. Therefore identifying fear, understanding it and finding ways to tackle it is important in our daily lives. On a personal note, Barney’s notable moments of fear can be traced back to when he was 11 and his parents had bought the largest house they could by taking on large amounts of debt. With interest rates spiking to the teens, affordability became a big issue, leading to drastic cutbacks in the family perks such as holidays etc. This experience of potentially losing their family home instilled a fear of poverty and possible homelessness in him, which influenced his belief that being in debt was a dangerous thing. This one event also motivated his career choice in Finance, with the goal of high income but without the lifestyle creep of increasing his expenses as income increased. The focus was purely on stashing away as much money as possible, with the focus on getting on the housing ladder. Once he had achieved that, the focus shifted to becoming mortgage-free as quickly as possible. Reflecting on Barney’s journey above, my personal source of fear came from being an immigrant to a new country at the age of 15. With no assets and practically no money or any prospects to make money, living poor was the reality! My biggest fear was one of remaining poor forever and never breaking out to live the ideal life I always craved. This fear has played a massive role in my journey to Financial Independence and has been a driving force in all major money decisions I have made so far. What’s interesting is that even if you’ve got to a place where you have enough money, you still need to address the fear! Just being rich does not take away the fear. It is necessary to dig deeper and understand the source of that fear and anxiety. The other side of being an immigrant is that it gives you an advantage because there is no complacency. This doesn’t mean that the path is straight or easy, but it drives you to survive, get better with money, save alot and not be wasteful. Is There An Age At Which It Becomes Too Late To Pursue FI? The sooner you can learn about money and the power of compounding interest, the much easier you’re making your life. The best time to start investing was 20 years ago. The next best time is now. It is never too late to start and get on the journey. Everyone can learn to get better with money. 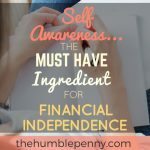 You can start to think of Financial Independence as a set of tools and techniques for getting better with money. What Roles Does Culture Play In All This? Culture is huge and makes a big difference. Humans are social creatures and we typically copy and mimic what other people are doing. The Americans are known to be entrepreneurial and as such, the movement of FI began there and is alot more pronounced. It can be traced back to the 70’s with the publication of books such as Your Money Or Your Life. It can also be traced back to even longer than that and relates to that idea of individual freedom. In the UK, the idea of Financial Independence is still new and below the radar, and much smaller than the movement in the US or Canada. However, the FIRE is spreading fast! Culturally, Brits also find it hard to talk about money. It is just not the done thing. 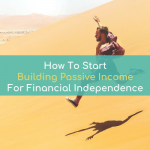 FI is also about shining a light on your money and habit, and them making rational and conscious choices to give yourself the best shot of FI and hence freedom. A good way to think about money is that it reflects power. Such power can be used in a good way to pursue what you think is right and meaningful, such as helping other people. The willingness of the Americans to talk about money freely is easily reflected in the size of the FI movement and in the readership of American blogs, which dwarfs that of blogs in the UK. One of the biggest determinants of your likely success, when you think about money, is your relationship with your parents. There is this idea that we all have a Money Blueprint. This is the idea that as children, we absorb the examples, thought processes and beliefs of people around us. Children learn by mimicking the behaviours of those around either consciously or unconsciously. So if your parents, for example, were always very careful with their money, you too are more likely to be careful with your money. There are of course the exceptions to this rule, with some people growing up rebelling against their parents way instead. However, this conscious rebellion is the minority and more generally, we mimic the ways of our parents. Barney’s journey to FI wasn’t based on being entrepreneurial and starting a business. Having grown up in a middle-class household where his parents were careful with their money laid the foundation for how he managed money too. This is reflected clearly in his path to FI, which was achieved through having a high savings rate over a number of years. Thinking about this from my perspective, my path to FI is mixed and follows the entrepreneurial path of my parents coupled with investing in cash flow generating assets and a high savings rate. How were my parents with money? What ideas have I got from them? This is important because it will play a big role in how you see money and possibly even the root of one of your limiting beliefs. Money is the number one source of fights amongst couples. Part of the reason for this comes from the idea of the Money Blueprint covered above. If one partner grew up with parents that looked after money and save, whilst the other grew up with parents that most spent money, then potentially this is a recipe for disaster. What one person assumes is normal, is very different to the other person’s normality. And so, talking about money with your partner is a very important step in getting aligned for the journey ahead. I recall actually having marriage preparation classes just before we got married 7 years ago. Money was an entire module in those classes and I recall not understanding why they were making such a fuss. On reflection, it has helped my personal relationship with Mary alot. We mostly have the same opinions about what we should do with every penny that comes into our hands. So getting to a good place of understanding about money with your partner is extremely important re FI. Otherwise, you risk doing it with a crazy amount of emotional energy wasted. The process is meant to be enjoyable rather than painful. Make no money assumptions about your relationship. Have open conversations and bring conscious awareness to the subject. Make the WHY question a central part of that conversation. 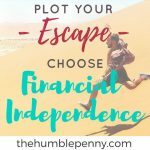 Why is choosing Financial Independence something you should do? And why not just have fun now and enjoy your lives? Why all this saving? The answers will be different for you both. For Barney, it represented freedom plus safety. For me, it is all of the above but also the idea of having options. What Should You Do Today To Begin This Path To Financial Independence? It’s easy for people to visualise celebrities or lottery winners, who have a large pot of money and in theory, should never need to work again. In the old days, trying to explain this concept of FI was difficult because there was no framework, definition or operating system. Framing how much money is enough was never defined in a way that most people could relate to. This framework is now very easy to access and is on the internet for free. The challenge is getting past all the bad information that is out there, which is obscuring the good information. Just knowing that it is possible is a huge advantage for people like you and me. Knowing that there are people who have been on the journey and documented their experiences on blogs etc is helpful and liberating. Mr. Money Mustache, for example, was the original blog that started this movement years ago. He achieved FI at the age of 31 and did it at a salary level that of about £60k – £70k at its peak. 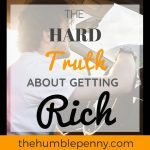 Such blogs lay out the foundations for how to reduce your spending, increase your income and invest the difference. What is life like Post Financial Independence? This is different for everyone. FI gives you choices and the opportunity to redesign your life from scratch. Barney used to be a senior finance professional in an intense Corporate Finance job. For him, it practically meant going from that intensity to doing nothing initially. He gradually rebuilt his life and added new projects and passions into it and that process carried on evolving over time. For example, he joined a running club and got into long-distance cycling. He even experimented in some fun and wacky jobs as a bar man and a van driver for a charity. Such is the beauty of financial independence. You have the ability to pick and choose or experiment, and design the life that works for you. Hope you’ve enjoyed this post. A massive thanks to Barney for taking some time out to interview and have a chat about this important subject. You can reach him on his blog at The Escape Artist. What Are Your Money Fears And How Do You Think They Have Held You Back?